I hated being a teenager. Honestly, it was not a good time for me. Which, considering how much I work with young people, is pretty funny. My time at Express Media meant working alongside teens and designing programs for them to increase their skills as writers. 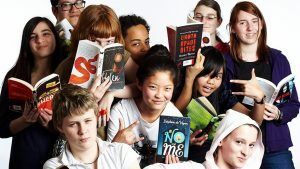 Now at the Centre for Youth Literature I get to connect with those bookish teens that most resemble me; more comfortable with their heads in books than out in the wider world. At the moment we’re running a program for teenagers who want to take their love of reading and try their hand at writing. Story Camp takes place on school holidays over three days at State Library Victoria. A group of teens come together and learn from industry leaders how to tell stories in a variety of formats. The workshop leaders are exceptional. Thus far we’ve had people such as Penni Russon, Emilie Zoe Baker and Candy Bowers. It’s the kind of program that you dream of putting together when you’re at a smaller organisation and money is tight. I’m so looking forward to these intensives during the January school holidays. If you know any teens who have a passion for words you can register your interest any time throughout the year and we’ll be in touch when the next camp is coming up. This year has been one of the toughest of my life, professionally and personally. It has been a year where the highest of highs have been reached, but the lowest of lows have seemed to dominate. I’ve written less than I wanted to, but done amazing projects such as the Independent Publishing Conference. I’ve met wonderful people I haven’t had the opportunity to work with before, and said goodbye to a friend and co-worker I admired and loved dearly. I’ve read more books than I have in a long time, been published for the first time in publications I have wanted to see my work in, challenged myself to try new things. I founded an organisation for women writers, reviewed books on Triple RRR, facilitated sessions at the Melbourne Writers Festival. At this stage of the year I’m feeling exhausted. There is a lot to process and a lot to consider as I head towards 2016. What do I want to achieve next year? What opportunities do I need to chase? What do I need to say no to? December and January will be my opportunity to think about these things, and to spend time focusing on my family and my health. Our writing community lost too many people this year, had our arts funding slashed, spent a huge amount of time in suspended animation trying to see where the chips would fall with government bodies and oversight. Here’s hoping 2016 is kinder to us all. After an epic three days, the Independent Publishing Conference is finished for the year. I’m exhausted, but very happy with how the event went. 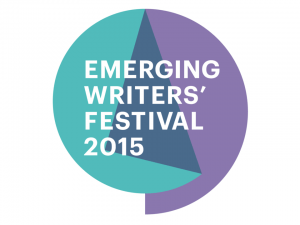 I hadn’t planned to run an event of this size in 2015, but when the Small Press Network asked I couldn’t say no. The organisation is such an important part of our literary ecosystem, and I felt like this would be the perfect opportunity to learn more about the publishing/publishers aspects of our industry. Mostly when programming I work with artists, so this was a chance to expand my knowledge and use my programming skills in a different way. So far feedback from the conference has been great, and while there were some challenges with logistics and the usual event hiccups, it seemed to go well. It was a pleasure to meet so many interesting people, and hear from such a wide range of speakers. I learned a great deal, and hope to have the opportunity to work with some of the people involved again. For now I focus on all of the post-event logistics; reports, budgets, thank you’s, invoices. If I owe you an email please bear with me as I work through the overflowing inbox I’m facing. 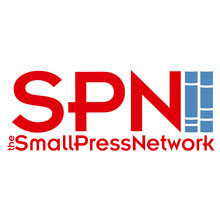 I love the Small Press Network. It’s an organisation that provides support to independent publishers who are producing fantastic work in a rapidly changing landscape. Organisations like this, which operate off the tiniest of budgets and offer their members such vital support, are integral to a healthy literature sector. Having been to a previous Independent Publishing Conference I was pretty stoked when Mary from SPN reached out to ask if I’d be interested in taking on the role of coordinating the 2015 conference. I’m super excited to take on the role. It has felt strange not to be organising events since leaving Express, and it will be great to get this part of my brain working again. The conference takes place in November, so expect to hear more about it as the year progresses. I had my first piece of writing published online at Overland today, which is pretty exciting. Overland have been publishing some really great, challenging articles about writing/writers lately, and I felt that this challenge to men in our industry would be perfectly at home there. The article was one I wanted to write because I believe there are men who do want to be good allies, but sometimes they don’t know how. For those men, I hope there are some ideas here that give them practical ways to, at the very least, not be a roadblock that women writers have to overcome just to have the same opportunities as men at the same stages of their careers. I had such an amazing time at the Emerging Writers’ Festival #writingwhilefemale day. I sat at the back of the room listening intently and tweeting madly, watching a room full of women share skills, network, support each other and generally live it up. Amaryllis Gacioppo did an amazing job of programming the day, and the whole EWF team (particularly Kate Callingham) did so much work to bring this to fruition. I had the pleasure of telling the women in the room about the formation of WILAA, making them the first people to hear about what I hope will be a valuable organisation that makes a tangible difference for the women in our sector. I also published an update on the industry roundtable that took place in 2014 on the EWF blog, which speaks to many of the origins of WILAA. Today is a day I have been eagerly anticipating for a long time. 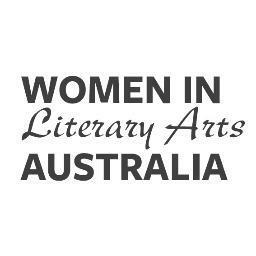 I finally get to share the project I’ve been working on for months, Women in Literary Arts Australia. I’m proud to have been working with Kate Callingham and Lisa Dempster on this, two women I respect and admire so much. We saw a need for something that supported the women in our industry to gain professional development, better networks and ways to work together more effectively. We committed to taking the first steps to creating an organisation which might meet these aims. Our hope is that these small beginnings will grow into a strong presence in the sector which makes a significant impact for women. I’m looking forward to our next steps, which will be to form a committee of women from all aspects of the sector to come together and set the agenda for the organisation. You can follow WILAA on twitter or Facebook, or sign up for our newsletter here. The latest tale from storyteller Stuart Bowden delivers a melancholic and bittersweet hour of entertainment. Before us were our parents, and our collective human race. Before the lime green bulbous creation on stage before us were also her parents, her collective race, but they’re all dead now she tells us. This is the true story of her death, her extinction. The latest of Stuart Bowden’s creations is this forest-dwelling creature living alone under a rock. In a mix of storytelling, dance and music, the tale of this creature, the last of her kind, on her last night alive, unfolds. Her loneliness is a melancholic offering to us. Her lamenting songs and soliloquies explore the loss of her family and friends and the emptiness of having her once adored perfect form now languishing with no-one who understands its beauty left to admire it. While Bowden’s work is often discussed in terms like lo-fi, the truth is Before Us is deceptively simple. The lo-fi costume and lighting are an understated companion to the tightly woven, precisely executed story. The live looping Casio keyboard, banjo ukulele and sung soundtracks create an emotion-charged backing to the storytelling and dancing. Where some use dance and physical theatre as an overblown dramatic technique, it is the darting precision of movement in the creature’s walk and the whole-body expression in her dancing that have the audience investing in her truth. There is no over-exaggerated, embarrassed stereotype of interpretive dance, but instead a measured expression of the emotion she is experiencing. Taking the audience’s discomfort with the intimate performance and sometimes surreal material, Bowden commits entirely to his beautifully drawn character and her final hours. He uses suspense and repetition to deliberately provoke and disquiet the audience, keeping them as awkward and unsettled as she is laying her unfamiliar form bare before us. Her vulnerability makes for compelling viewing. Bowden’s great talent is in taking the audience along with him, coaxing their participation in this surreal journey. 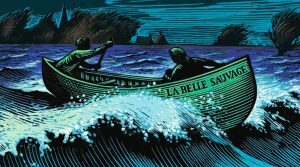 Despite the usual resistance of being pulled further on stage and into the action that most audiences are comfortable with, when Bowden draws them into the tale they follow willingly. It is this talent that takes the surreal material from the unusual to the sublime. In a tale that makes the audience confront death, loneliness, isolation and failed connection the humour here is a tender, wistful, perfectly bittersweet kind. 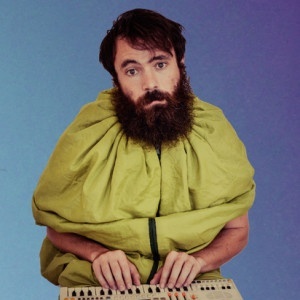 This review first appeared on Arts Hub as part of their MICF 2015 coverage. Stella time! Today saw the announcement of the Stella Prize longlist for 2015. Of these I’ve read Laurinda, Foreign Soil and This House of Grief. 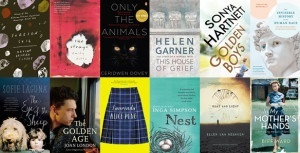 I have The Strays and Heat and Light sitting in my to-read pile already, but that leaves so many more to enjoy before the announcement of the winner in April. As an aside, how beautiful is this collection of covers?